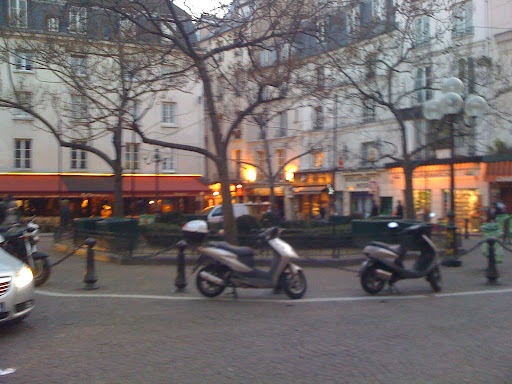 And so to Hemingways Paris…Rue Cardinal Lemoine, Place de Contrescarpe, Rue Mouffetard, which in my British eyes is not really Paris at all but a 1930’s fantasy of an American ex pat life, encapsulated so cleverly by Woody Allen in Midnight in Paris. The area is quaint though. 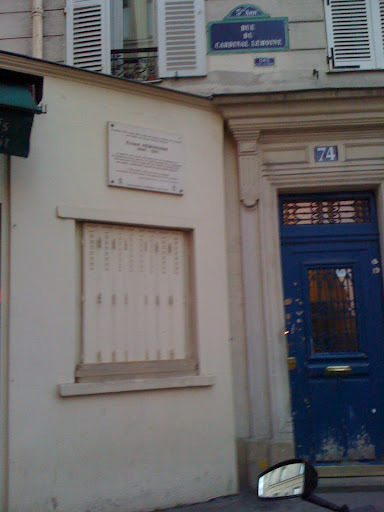 74 Rue Cardinal Lemoine, where Hemmingway lived. Don't get me wrong Annette, I LOVE the 5th arrondissement and area of Paris. I do think it is full of history not just the picture that Hemmingway painted. To explain, I feel that the Paris described by Hemingway is just a small part of the Paris I know and Hemingway lived the unusual life of a writer and an ex pat in Paris, meeting other expats and artists in a communtiy of ex pats and foreigners. . Often people think that the picture Hemingway painted in his book A Moveable Feast is what Paris is today. 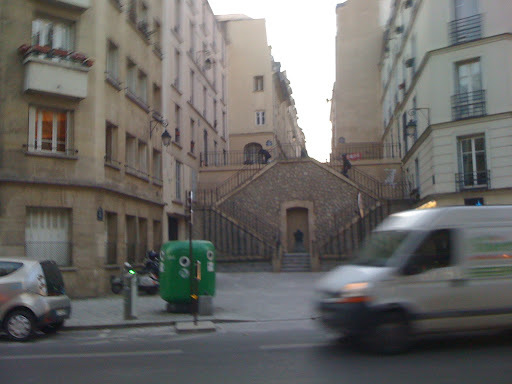 Of course parts of Paris are like this, and some communities are like this, but in the main Hemmingways Paris is a fantasy. 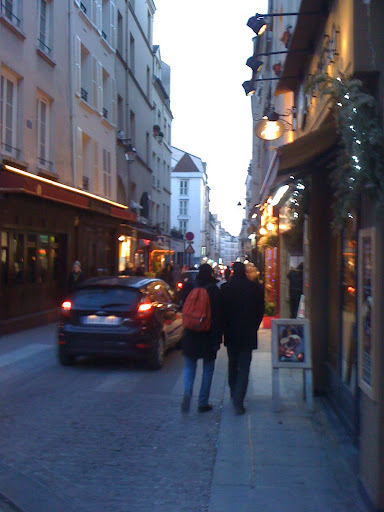 Paris is inhabited by the French, who shop at weekends, work 9 to 5, eat takeaway food, live and love, just ordinary lives, like people all over the world. 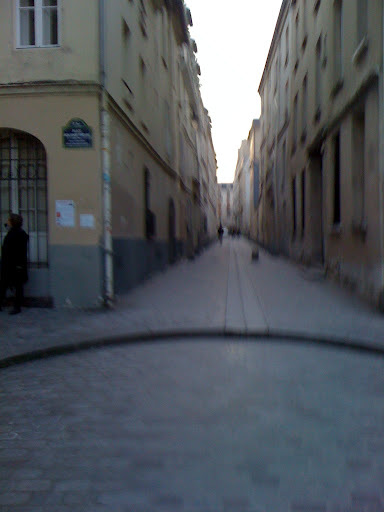 However The Hemingway Paris is a nice fantasy that I like to embrace. I also think the American and British fantasies are often different as Brits are not as "into" Hemmingway et al, and the whole scene he inhabited… unless of course like me they are a ParisphileI think (just) one of the brilliant things about Woody Allens film, Midnight in Paris, is that it is a complete tonge in cheek send up of this whole Paris fantasy. Woody Allen is laughing at himself…and I could sit in the cinema and laugh at my own fantasies!I hope this makes sense. I think I get what you mean! LOL I'm not into Hemingway at all, tho I've read A Moveable Feast. I guess his "fantasy life" just went in one ear and out the other with me. His view of Paris is about as foreign to me as the Zimbabwean bush! I sure hope there aren't that many people who think that's how Paris really was, or still is. Paris is so much better than that!